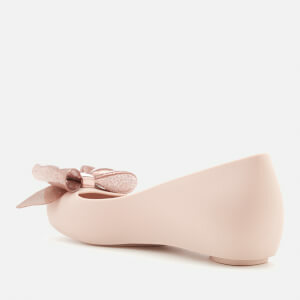 Women’s ‘Ultragirl Sweet Bow 19’ ballet flats from Melissa. 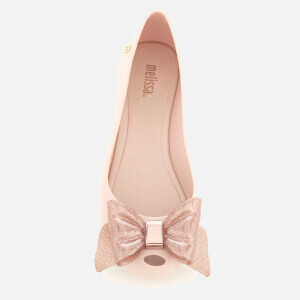 Crafted from a smooth, matte material, the pumps comprise a minimalist, slip-on design with an open toe and glittery bow detail to the front. A cushioned footbed offers maximum comfort, while a textured outsole with slight heel ensures ultimate grip and stability. Subtle branding to the heel completes the design.